One big area of opportunity for cannabis producers is the standardization of their inventory, order and client management. Often times you’ll see cultivators and extractors sending their inventory or receiving orders from buyers in various formats such as PDFs, Excel and Google docs, emails, texts, even jotted down on paper. Having to manage these disparate forms in various apps and programs creates inefficiencies in operating procedures and ultimately has a negative impact on the bottom line. And, though markets start out with a bang, experience shows, they will tighten up relatively quickly, so running an efficient business is paramount to longevity. Building a proprietary inventory/order/client management solution can work, but is often times not cost-effective. What’s more, getting buyers to use your unique software when they also work with dozens of other vendors can be challenging. So, what can you do? The answer is, find a 3rd-party software company with a tool that fits your needs with the right feature set, right level of customer service, and the right pricing that makes sense for your business. There are a few options out there. Some may be out of your price range, others may not fit your specific requirements or truly understand your business, but there should be a solution that works for you and will help you save time, effort and money. At Apex Trading, we believe we understand the needs of the wholesale cannabis industry. Our team is made up of folks who have been working in wholesale legal markets since it began in 2014. 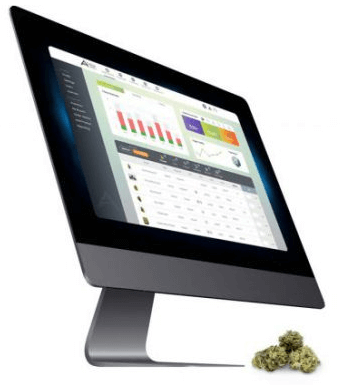 Our tools are easy-to-use, priced right, and we’ve been told by the numerous wholesale cannabis producers using our software that we got right where others have failed. But, don’t just take our word for it. We encourage you to do your research and find the solution that’s right for you. And, whether you choose to go with Apex Trading or someone else, standardizing your processes are sure to help keep your books running in the black as the market inevitably becomes more competitive.